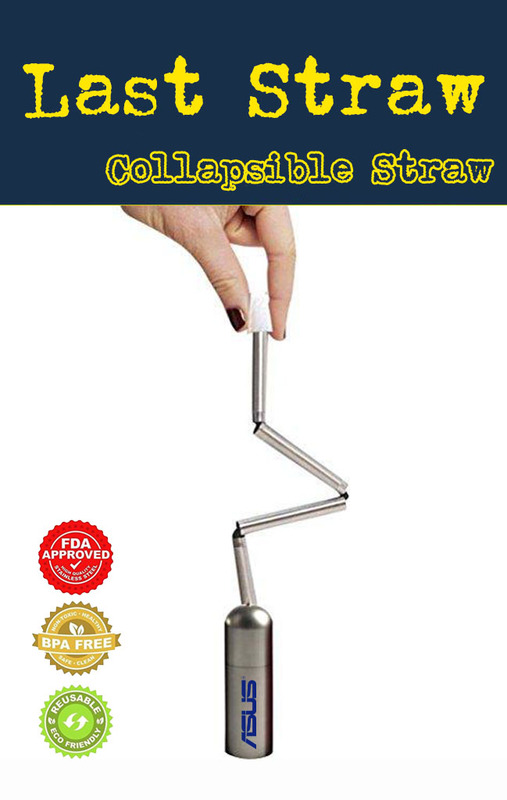 The collapsible reusable drinking straw is set to enter the promotional products marketplace in the Fall of 2018. 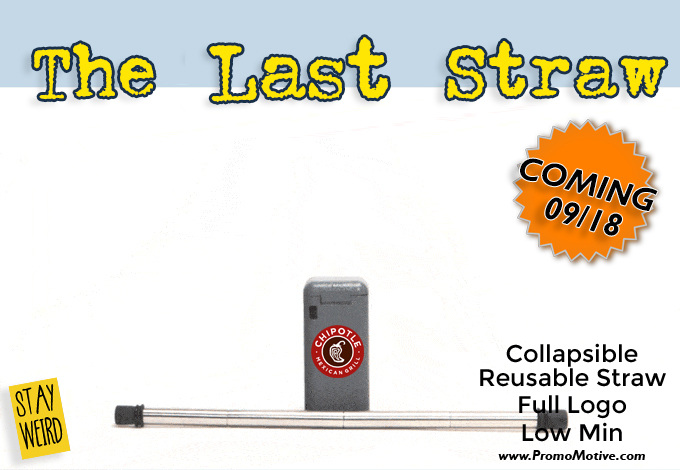 Darling of Kickstarter, the reusable and collapsible stainless steel straw is the ideal new idea for the ever-changing promotional products marketplace. It seems almost daily we are seeing ideas that have been around forever suddenly reimagined in new and interesting ways. Today’s new redo is the drinking straw. The Turtle Video that changed the world! Sometimes just the simplest and most graphic imagery can change people’s minds and focus them on the problem at hand. The genesis for the reusable collapsible straw was this amazing video of a sea turtle having a straw removed from his/her nose. The World responded in a way that no one could imagine! 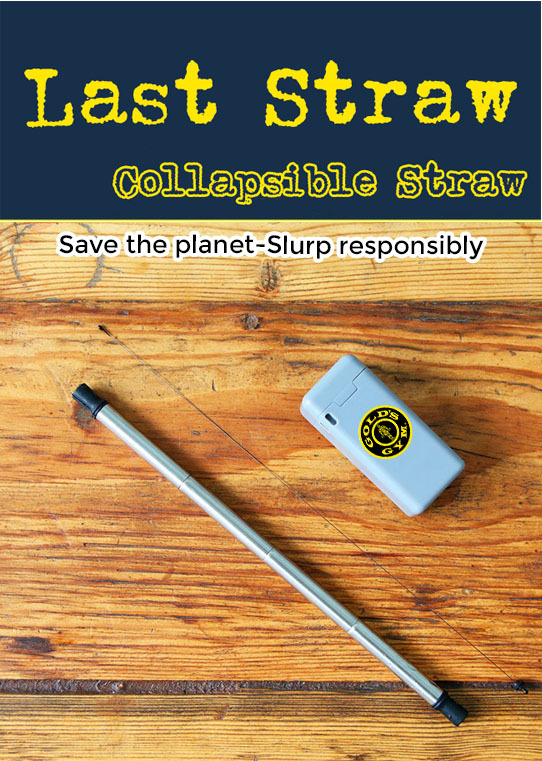 Single use disposable plastic straws are now being banned in over 20 countries and hundreds of states, provinces, cities and communities across the globe. Even McDonalds is starting to ban plastic straws? 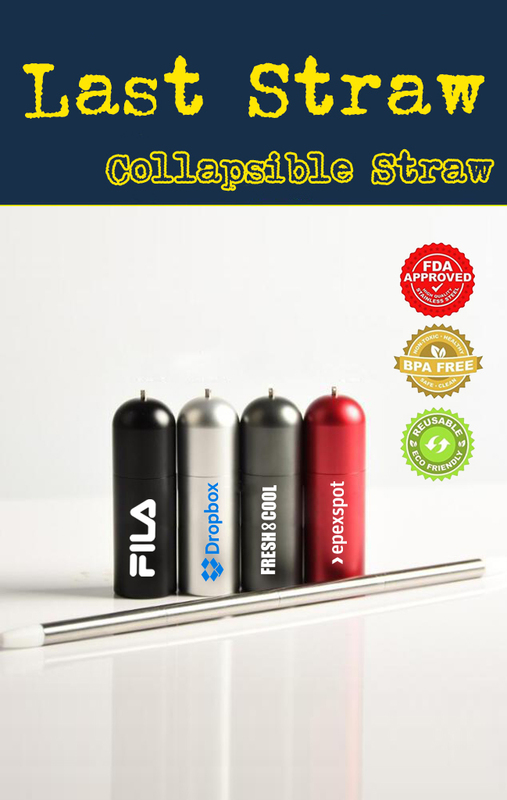 The promo industry, which is often seen as an offender in the eyes of many for the amount of disposable plastic items it produces, is keen to be on the edge of this movement with several suppliers positioning themselves as leaders in the supply of the reusable straw. Overcoming distributor objections is easy! Distributors have been lighting up forums on Facebook and more spelling out worry about product safety. 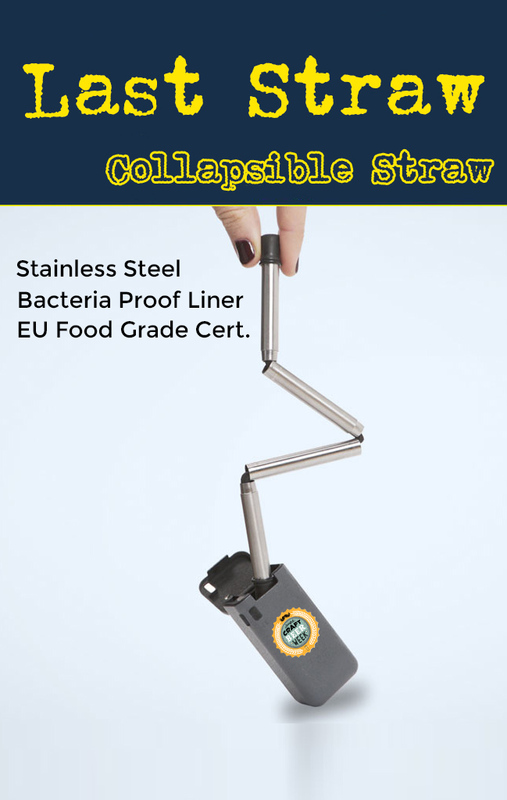 Not to worry, these collapsible straws are made from food grade stainless steel (incapable of supporting bacteria) and lined with a food grade silicone tube (also incapable of supporting bacteria). The straws also come with a cleaning widget. No worries. For more info contact us at 1-888-908-1481 or email john@promocrunch.com. 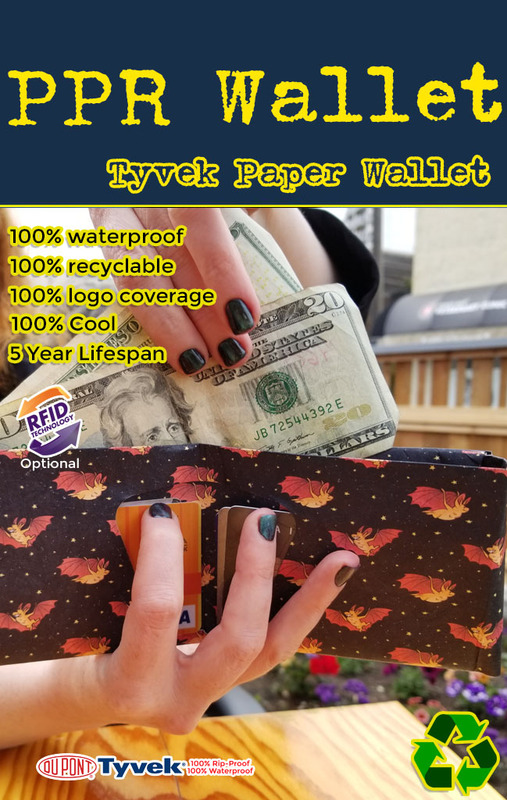 The PPR wallet is taking the Tyvek paper wallet from the rarified regions of hipster retail and putting it into the promotional products business. 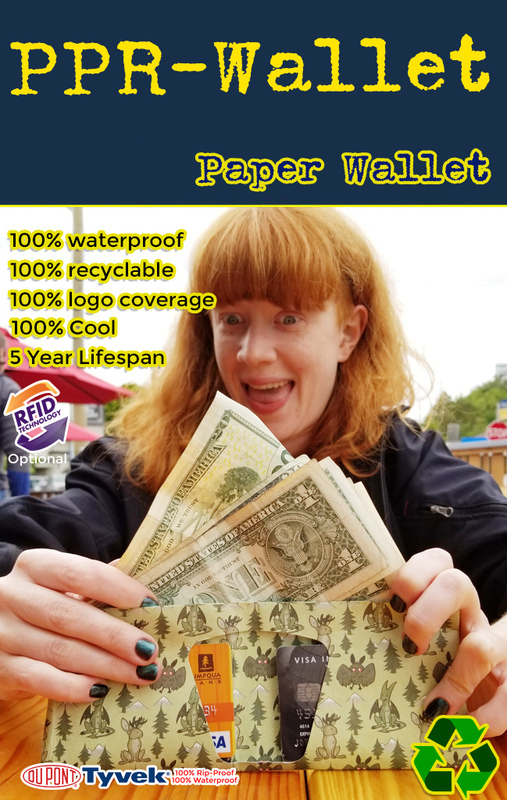 PPR Wallet: the world’s best Tyvek paper wallet for your logo or event. 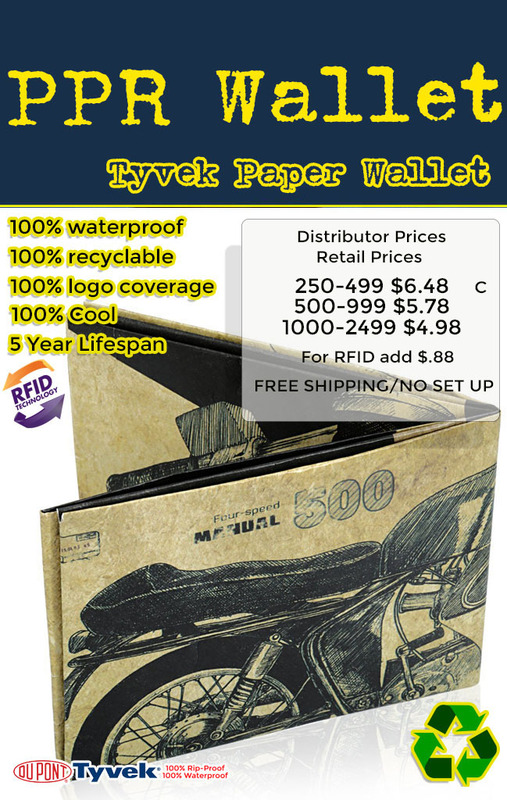 The PPR Wallet is are made from extremely durable Tyvek® paper. Tyvek® is paper-thin and all paperwallet accessories are carefully designed and folded to create fully functional modern accessories. Tyvek® is also elastic, waterproof, and long-lasting, and is built to keep up with your busy life. Slim, simple and designed by artists, the PPR wallet guarantees endurance being made from waterproof, tear proof and 100% recyclable Tvyek. The expandable material allows a total of 18 credit cards and plenty of cash! PPR Wallet is made from one continuous piece of Tyvek® smart material with an option RFID seamlessly integrated into the fold. This makes it virtually unrippable and highly resistant to wear and tear all while keeping your private electronic information safe from theft. Apart from being super-durable, the Tyvek® we use for the PPR Wallet is also water-resistant, so rain or shine, you know you’re protected. Check out this unboxing review of the Mighty Wallet! Coded C Distributor Pricing includes freight and all logos! Yup you heard it right, FREE shipping, NO set up fees and NO ridiculous extra costs! 3 week delivery. Get a Free Virtual Design Done! Check out some of the most popular designs done at retail to get an idea what a promo PPR Wallet will look like! Get innovative with your clients logo, give it a retail look. Perfect for the millennial client. 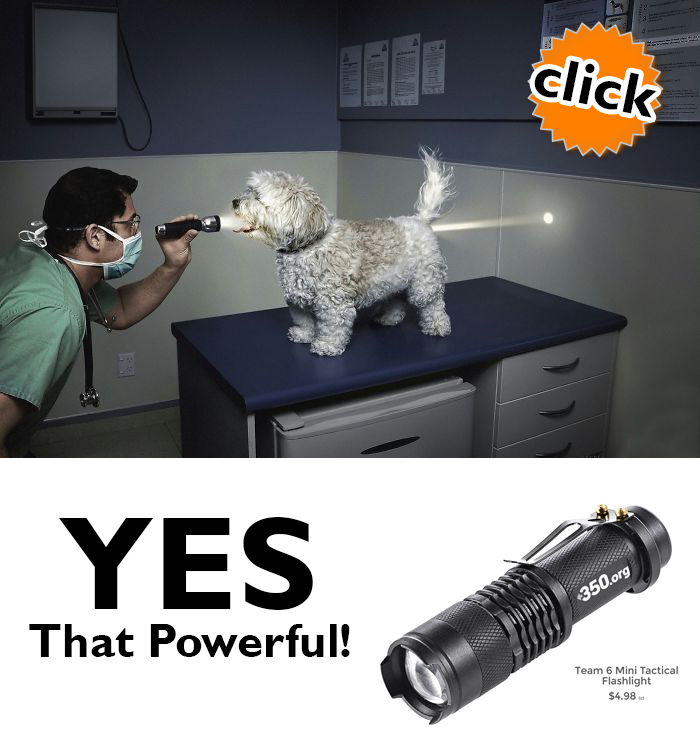 High powered tactical flashlight is now priced ready for the promotional products market. A tactical flashlight can be an important tool in your everyday carry toolbox, but doing a quick Google search for the best tactical flashlights won’t do you much good if you’re not quite sure what you’re looking for in the first place. Want info? Call 1-888-908-1481 or email john@promocrunch.com. 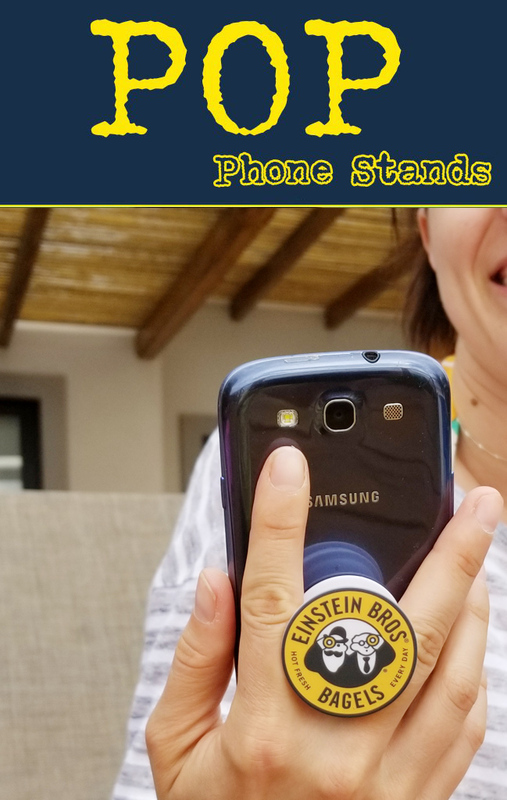 Millenials and more are all craving the latest in promotional products: the POP phone grip! 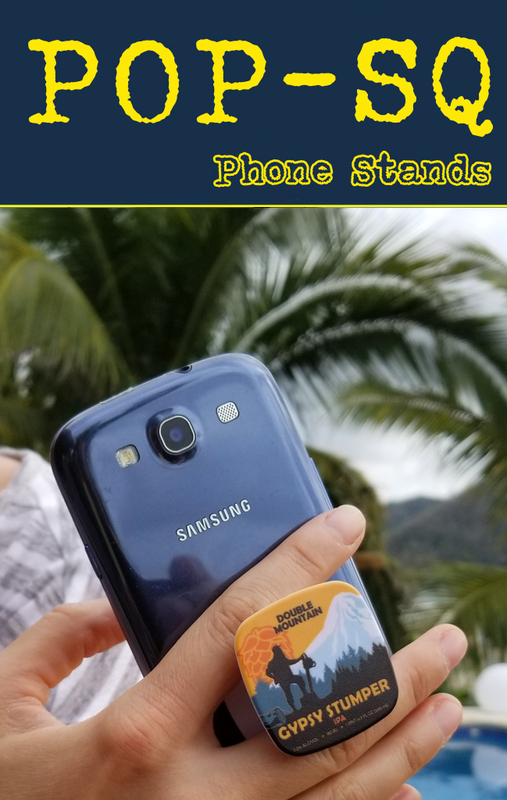 Get your clients’ logo or event details on a POP phone grip. You are checking out this e-blast as it caught your eye. Catching your eye is what all effective promo swag does! Distributors! Do you have Summer Camps, Youth Groups and Fundraisers? Are you looking for a cost effective promotional product for your Summer Camp, Youth Group or School Fundraiser? Then you should consider the POP. Coded price on a C is listed below and includes all shipping and set up… PLUS FREE FULL COLOR LOGO! 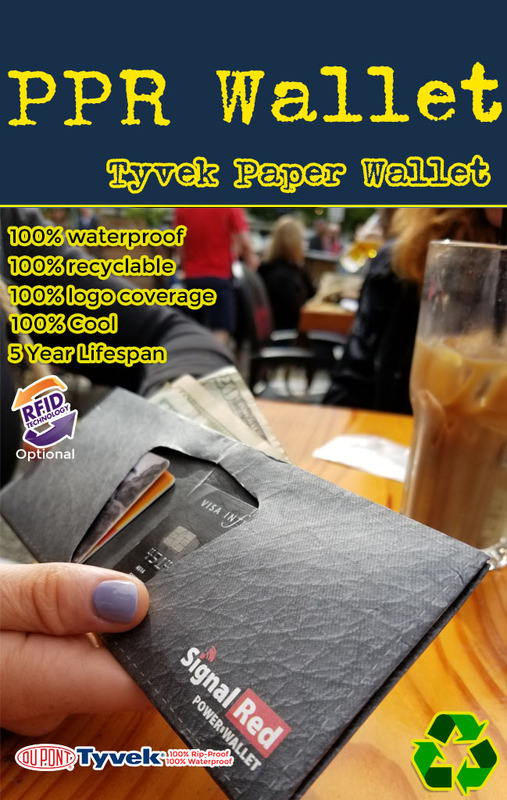 What is a Tyvek Paper Wallet? Paper wallets made from Duponts Tyvek are Hot, Hot Hot these days in the promotional product world! The promotional product world is being turned on its head with the new marketing idea: paper wallets made from waterproof, rip proof Tyvek. The world of trade shows, b2b marketing and ad specialty promotional products thrives on new ideas, new vehicles to emblazon a logo on. For Fall 2018 it seems that one of the biggest trend indicators is showing that the TYVEK paper wallet is about to explode. The paper wallet has been around for a couple of years at retail with brand leaders Paper Wallet and Mighty Wallet offering retail fresh art concepts. Promo Motive, a leading edge supplier of trending swag is now offering a full color paper wallet for the corporate customer. 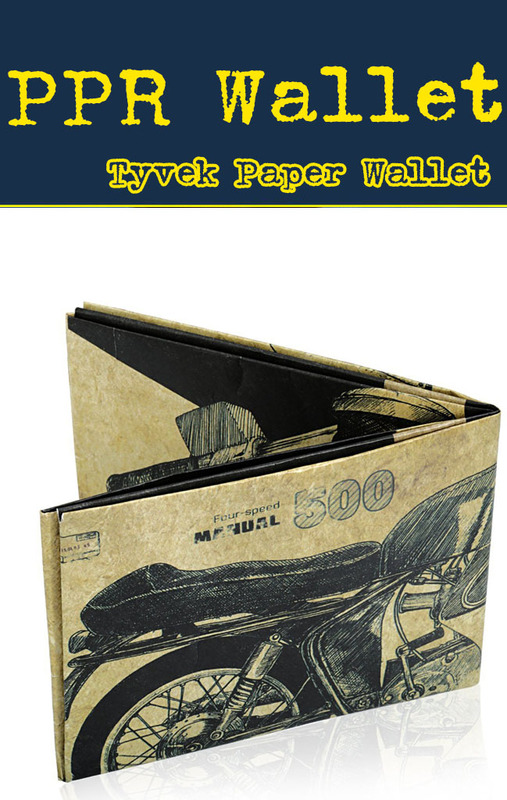 Tyvek Paper Wallets are ECO Friendly. Tyvek is 100% recyclable and compostable. The PPR Wallet is also the perfect vehicle for bright and bold 4 color graphics. 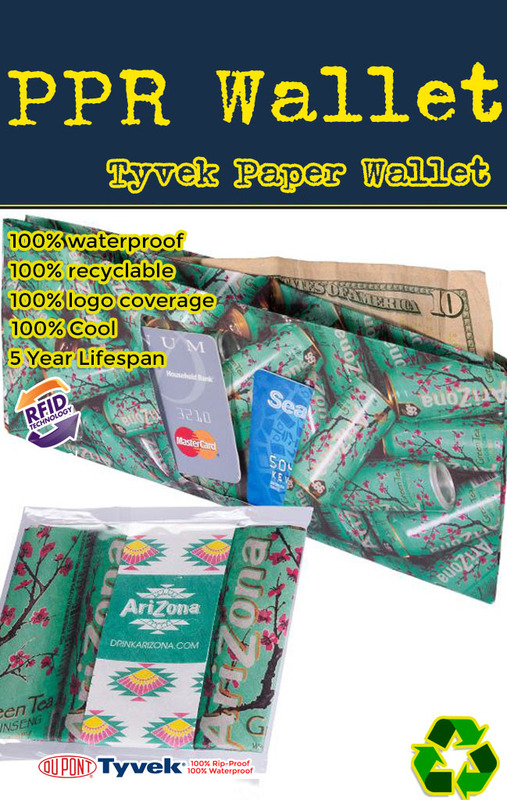 The art is laid out as a flat material and then the Tyvek paper wallet is cut into the wallet shape and then expertly crafted together to make a long lasting promotional statement. Perfect for up to 10 credit cards and a ton of cash! Slim and simple, the PPR Wallet also guarantees endurance being made from waterproof, tear proof and 100% recyclable Tvyek. The expandable material allows a total of 10 credit cards and plenty of cash! Look out for this hot new corporate promotional item coming Fall 2018! Questions or comments? Email John@promocrunch.com. https://promocrunch.com/wp-content/uploads/2019/01/Logoheader1800x130.jpg 0 0 admin https://promocrunch.com/wp-content/uploads/2019/01/Logoheader1800x130.jpg admin2018-06-06 16:04:182018-06-06 16:04:36What is a Tyvek Paper Wallet?